In the virtual reality debate, it seems that there are two sides to be taken - one unsatisfied and underwhelmed, wary of strapping a bulky headset over one's eyes, and the other perpetually enthused by the ‘immersion’ that said bulky headset has to offer. Post Plague sees the members of Odonis Odonis join the latter camp, becoming the latest musicians to jump on the virtual reality bandwagon with a VR music video for ‘That’s How it Goes’ . Citing transhumanism as a major influence, from iterations in the writing of FM-2030, the techno of Terence Fixmer and film Ex-Machina, the bandmembers attempt to figure out what tomorrow will sound like. Responding to the rapid obsolescence of recent technologies and the implications of AI, they wonder what it means to be human - ironically, concerns that by now find themselves somewhat dated. But science fiction after all, is said to reflect anxieties of today, rather than predict tomorrow, and incessant updates in pursuit of the newer and shinier isn’t just the premise for Post Plague, but also part of how it came to be. 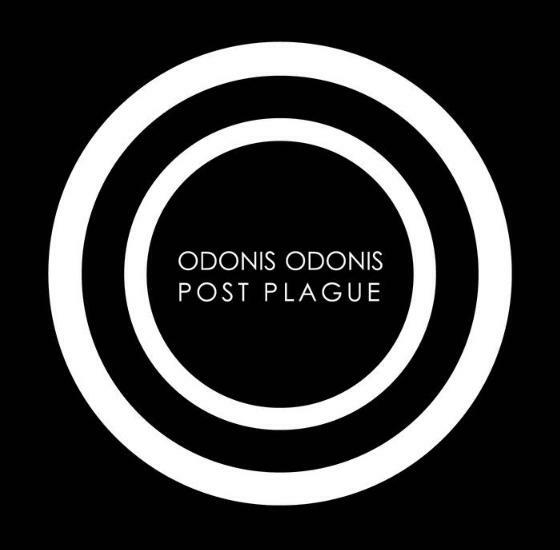 We hear Odonis Odonis reborn - or perhaps rebuilt - in an era of constant ‘innovation’, persistent obsolescence and relentless reminders to update. Opening track ‘Fearless’ chronicles the beginning of a new life, mirroring their sonic one, and it marks a substantial departure from their earlier music: it's the start of an album that tries to “step into the future”, and its lineage is clearly heard. The more understated groove of ‘Pencils’ (which features Kathryn Calder of New Pornographers) and urgently noisy ‘Needs’ are reminiscent of earlier tracks such as ‘Better’ and ‘Order in the Court’. This version of Odonis Odonis writes in a more collaborative fashion, after having ‘snapped’ while working on ‘Needs’. They’ve revamped their songwriting approach by breaking down and reconstructing tracks, and substituting analog parts for digital bits. And it works; ‘Needs’ is certainly one of the most striking tracks on the record. But for all the talk of ‘fresh’ and ‘new’, there is something about the album that still feels dated – perhaps to use the word ‘newer’ instead is apt. What's newer for Odonis Odonis at times sounds like a Gsaffelstein (a definite influence on the album) remix of a Death from Above 1979 track, particularly on ‘Vanta Black’. Nonetheless, the marriage of EDM and techno to their existing sound is the most interesting thing about the album: tracks like ‘Betrayal’ and ‘BLTZ’ cycle between genres, and span rapidfire percussion, snarling vocals, and moments of sonic clarity. This scope seems to satisfy the aims of a band concerned with the shiny idea of new technologies, as their venture into VR may suggest. Yet the music video for ‘That’s How it Goes’ may have forgotten the shrinking attention spans that go hand in hand with tech fetishism. While the video sprang more from their own interests rather than for promotional or stimulative purposes, there’s a slightly chafing irony here. After all, how many fans will be enthralled enough by the prospect of VR to go through the trouble of assembling a Google cardboard set just to watch the video? Regardless, Post Plague itself covers plenty of ground in its 36 minutes. And, while transhumanism may no longer be particularly exciting or new, the musical rebirth of Odonis Odonis is trying to be. Sandwiched somewhere between dark synthwave and the noise of their previous incarnation, Odonis Odonis is evolving. Though, for now, they seem to sound a bit more like yesterday than tomorrow.